This offer includes parking for up to seven nights. 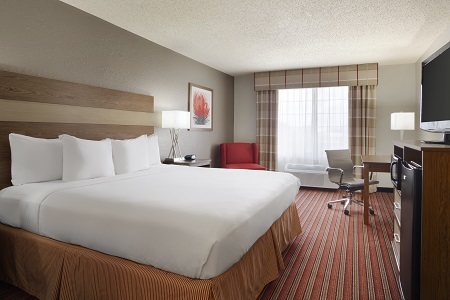 Situated halfway between Dallas and Fort Worth, the Country Inn & Suites® by Radisson, DFW Airport South, TX provides an ideal starting point for exploring the metro area. Join more than 100,000 fans to cheer on the Cowboys as they charge the end zone at AT&T Stadium, or catch an event at one of the many other nearby sports venues. Planning a relaxing vacation with the family? Stroll along the Mandalay Canals or browse the collections at the Irving Arts Center. Traveling with family and need extra space? 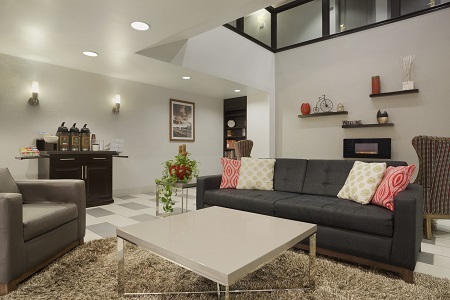 Reserve a One-bedroom Suite and enjoy a choice of one king or two queen beds, plus extras like a separate living area with a sleeper sofa and a wet bar. Stay fueled for game day at AT&T Stadium with selections from our free, hot breakfast. You can dive into a hearty meal of biscuits with gravy, scrambled eggs and fresh fruit paired with an energizing cup of coffee. For lunch or dinner, enjoy a taste of Texas at one of several nearby restaurants. La Margarita Mod Mex Kitchen + Rita Lounge serves up mouthwatering Tex-Mex favorites like pollo poblano and stacked enchiladas alongside refreshing, homemade margaritas. Mandalay Canals – Drive 13 minutes from the hotel to explore the Mandalay Canals, a section of the city featuring shops, restaurants and romantic gondola rides. While in the area, be sure to check out The Mustangs of Las Colinas—a series of larger-than life bronze sculptures of wild horses galloping across a granite stream. Six Flags Over Texas – This amusement park, located about 15 minutes away, boasts more than 40 rides and attractions spread across a number of themed areas. Thrill-seekers don’t want to miss a ride on Titan, a “hypercoaster” that takes you 255 feet in the air and reaches a maximum speed of 85 miles per hour. Grapevine Mills – This outlet mall features 180 stores including Steve Madden, Nike Factory Store and Michael Kors, alongside a variety of restaurants. Situated just 19 minutes from the hotel, the expansive complex also houses a LEGOLAND Discovery Center and an aquarium with a shark tunnel. 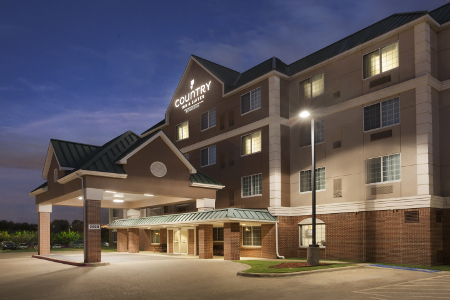 Boasting a location about nine minutes from the DFW airport and less than 30 minutes from both Dallas and Fort Worth, the Country Inn & Suites provides the perfect home base for your travel group. Hosting a business meeting or family gathering in Irving? 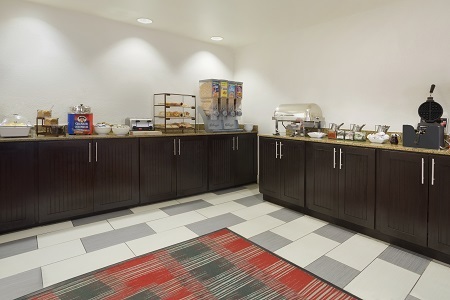 You can accommodate up to 30 guests in our flexible event facilities and take advantage of amenities like free Wi-Fi, a 24-hour business center and group discounts. Pet policy: Please note that this hotel is unable to accommodate pets.